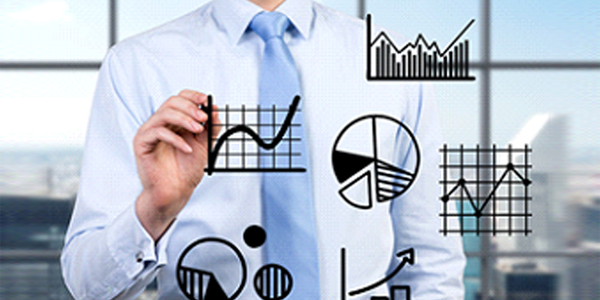 EduPristine>Blog>Ever Wondered What a financial analyst does? 1) Analyst analyses financial data? 3)Prepare the financial plan for the business? But this really is an oversimplification. To put it more meaningfully, a financial analyst studies economic and financial data of all kinds generates findings from that data, and then makes recommendations based on these findings. He needs to research macro-economic and micro-economic data along with financials, and thereby estimate the future prospects of businesses in particular, or an industry sector in general. Majority of financial analysts deal with investments. They advise their employer or their clients as to where to deploy funds for maximum returns. The investment could be in stocks or in other instruments such as commodity markets, currency, or even real-estate. This is also called the buy-side function. On the other hand, an analyst in a sell-side function would evaluate stocks and securities and prepare research reports with a recommendation to buy, sell, or hold particular stocks or securities. One of the positions that are considered very prestigious for a financial analyst is to work in an investment bank. Here, an analyst helps the bank in pricing its investment products. Analysts also work in merger and acquisition projects and play a major role by studying corporates’ fundamentals to determine the feasibility of the said merger or acquisition. For this, they may prepare financial models and also use forecasting tools. They also study venture capital opportunities for their bank’s clients and advice on the prospects of the business that is seeking venture capital. An analyst also prepares financial models to estimate future economic trends and financial parameters of business entities. They are also required to keep track of prevailing laws and regulatory framework for different types of industries. Financial analysts are mostly employed in stockbroking houses, mutual funds, pension funds, hedge funds, and insurance companies. Those who advise on stocks and securities are called equity analysts and are much sought after, not just by broking houses, but also by mutual and pension funds. Financial analysts are also employed by NBFCs (Non-Banking Finance Companies), where commercial lending takes place. They carry out balance sheet analysis and also study audited financial statements to assess lending risk. From company financial statements, they study prices, costs, expenses, tax rates, etc. to determine a company’s future earnings and thereby determine its valuation. Financial analysts may also examine the managerial effectiveness of business entities. A good financial or equity analyst can bring windfall gains for her employer or her client, by virtue of a good research and financial modeling. Thus, an analyst’s job is often high paying, particularly the element of variable pay or bonus, which is directly linked to the monetary gains made by the employer. Industries are in need of good financial analyst who can improve the companies position financially. One such person needs to have an edge over other to be the best and the following helps them to attain this difference. Edupristine is known for its successful journey of helping professional attain this edge by training them for passing these exams. We have successfully trained nearly 5000 financial professionals towards achieving their goal.